“Building resilience is no longer a talk show, it is a matter of action,” urged Right Honourable Dr. Saulos Klaus Chilima, Vice President of the Republic of Malawi, in his keynote address at the Compact2025 Forum in Lilongwe, Malawi on October 31, 2017. 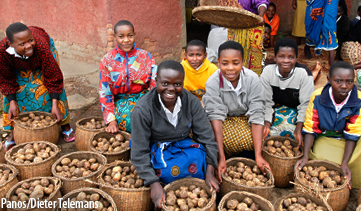 The Forum, hosted by the International Food Policy Institute (IFPRI), followed up on the recommendations from the last Malawi Roundtable Discussion held in May 2016. 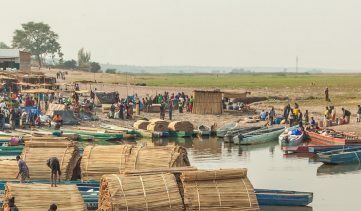 Under the theme of “moving from relief to resilience,” the Forum focused on how Malawi can break the cycle of food shortages and humanitarian responses. Vice President Chilima highlighted that for Malawi, an agro-based economy, building resilience is not only a disaster risk management issue, but also key to the nation’s economy and development. 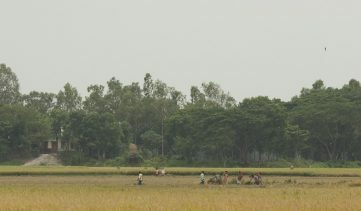 As Malawi continues to face disasters with growing frequency and intensity, the National Resilience Strategy has been developed to harness synergies and enhance coordination through major components of: resilient agricultural growth; risk reduction, flood control, early warning and response systems; human capacity, livelihoods, social protection; and catchment protection and management. He noted that resilience building in Malawi should take a three-lens approach, focusing on food security, infrastructure development, and economic resilience. The Vice President further noted the support of cooperating partners, research institutions, and non-governmental organizations will be important. 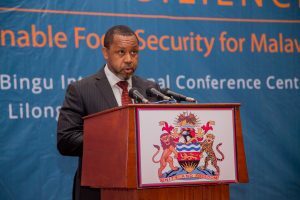 As a follow-up to his keynote, Vice President Chilima authored an op-ed in The Nation further discussing the urgent actions needed for Malawi to move from relief to resilience. Honourable Goodall Gondwe, Minister of Finance, and Honourable Atupele Muluzi, Minister of Health, provided introductory remarks and ministerial perspectives. Dr. Shenggen Fan, Director General of IFPRI, provided an overview of Compact2025, setting the stage for discussion on: building a resilient food system for sustainable food security, a multisectoral approach, and translating recommendations into actions. Dr. Suresh Babu, Head of Capacity Strengthening and Senior Research Fellow at IFPRI, introduced the resilience framework, discussed what is needed to mainstream resilience and take a mutlisectoral approach, and shared lessons learned. A panel discussion featured Readwell Musopole, Ministry of Agriculture, Irrigation and Water Development, James Chiusiwa, Department of Disaster Management Affairs, Felix Pensulo Phiri, DNHA, Ministry of Health, Clement Chilima, Department of Forestry, and Victoria Keelan, Agricultural Resources Limited, and was moderated by Tamani Nkhono-Mvula, Agriculture Policy Consultant. Panelists and participants discussed coordination during implementation, mainstreaming nutrition, managing challenges, and the role of the private sector in the context of building resilience. Dr. Shenggen Fan presented on accelerating progress in Malawi and reiterated Compact2025’s commitment to provide support using research, innovation, and partnerships to end hunger and undernutrition in Malawi by 2025. Honourable Dr. Jean Kalilani, Minister of Gender, Children, Disability and Social Welfare, closed the session with a summary of the discussions, including the need for a multisectoral approach, private sector engagement, mainstreaming resilience, scaling up successful programs, sharing knowledge and experiences to harness synergies, efficient funding of programs and building on existing resources, as well as the importance of data and evidence.